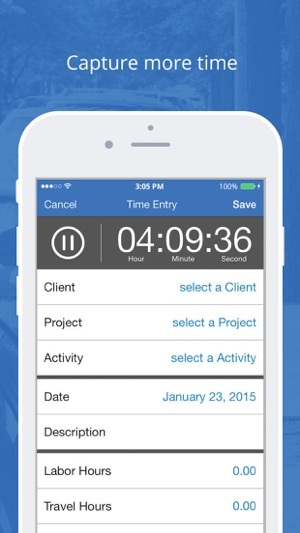 Bill4Time's companion iOS app is the professional way to track time, manage projects, and snapshot expenses on the go. • Sign up for a free Bill4Time standard or Bill4Time legal time billing account right from your phone. No credit card required! • Free time billing with free support. Plan includes 1 user, 3 clients, 5 projects and 100mb storage. 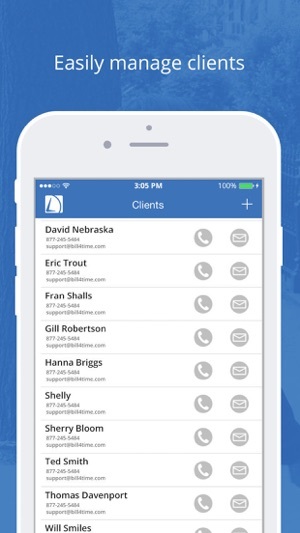 • Track time easily with our one-tap timer, you can even track non-billable time! • Expense management features include markup, full item description, customizable expense types and a reimbursable option. 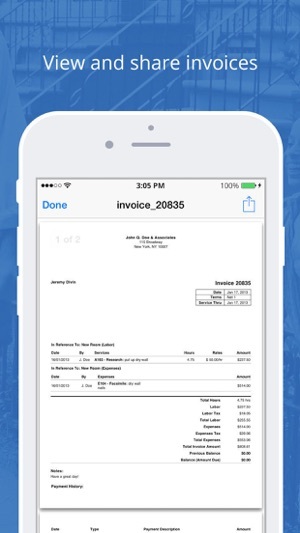 • Instantly capture receipt images with camera integration. This app is a great supplement to the desktop version and it is great for picking up time - and especially expenses - at the end of the day or on the go. The desktop is intuitive in the best sense and the visuals encourage faithful time entry and regular review of productivity. The customer service is the best I’ve encountered on any site. 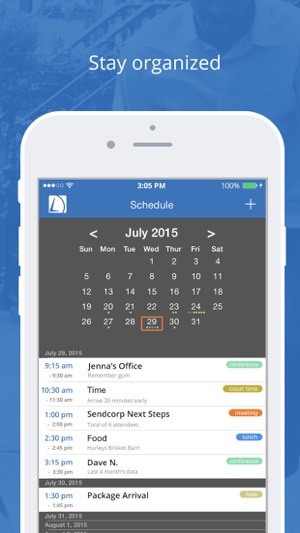 This is a great companion app that streamlines the most common tasks I complete via mobile - tracking time and expenses while away from my computer. 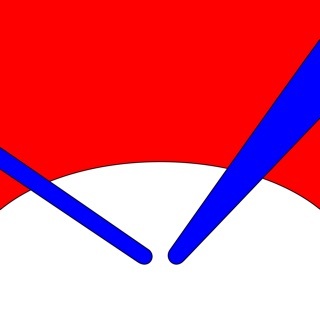 I enjoy how straightforward the interface is, which was quick and easy to learn. Love the functionality and the sterling support they deliver. It improved my billings by 30% the first year. I was able to capture all the offsite billable time via their IOS app. Love the constant improvements and tweaks they make. Highly recommend it.